"My friends, and a little bit of punk, and a little bit of Japanese, like Harajuku or something like that. I don't know, I think it's derived from a lot of different places. 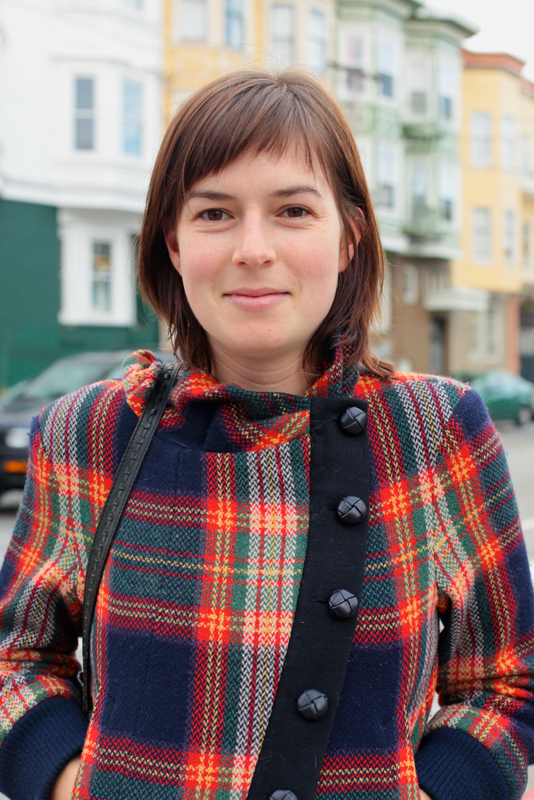 I think they're [tights] Hansel from Basel, I'm not exactly sure the brand, my sister gave them to me." Such a cute wool tartan jacket with asymmetrical closures. And I'll admit that it was her tights that really caught my eye and caused me to stop her. 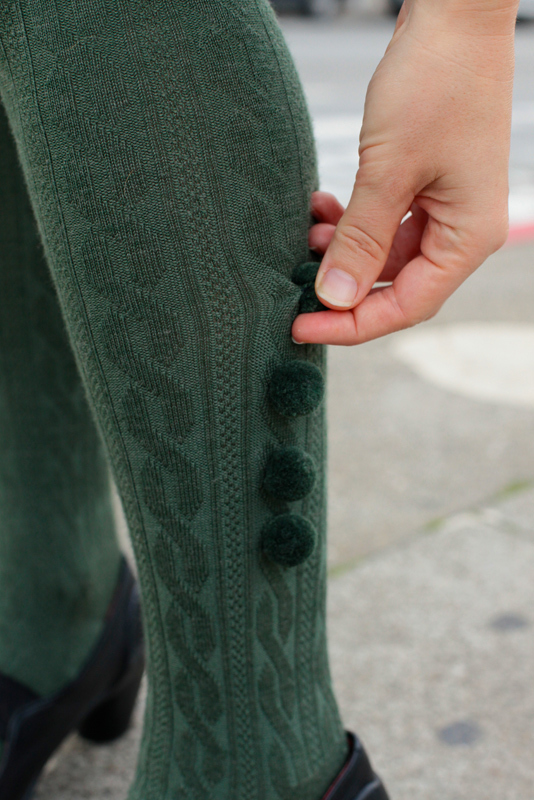 These green tights with the pom-poms are great, right? the POMPOMS! I love them! I really do!